BT has announced an ambition to roll out ultrafast broadband to 12 million UK premises by 2020 - two million more than previously announced. Two technologies will be used to achieve this: Fibre to the Premises (FTTP) and G.fast. BT's FTTP plans are getting a boost, with BT aiming to reach two million premises with this technology by 2010, to deliver speeds up to 1 Gbps. As discussed in our previous article Latest Pricing Positions FTTP as a Niche Product, BT's high pricing of FTTP services to date has been a major disincentive for FTTP take-up. BT now anticipates that it will deliver a significantly more affordable FTTP service than has been available in the past, and is setting out to attract SMEs in particular. BT will be targeting businesses requiring ultra high speeds without the need for a dedicated business-grade connection, with BT seeing significant opportunity with hundreds of thousands of SMEs in high streets and business parks. 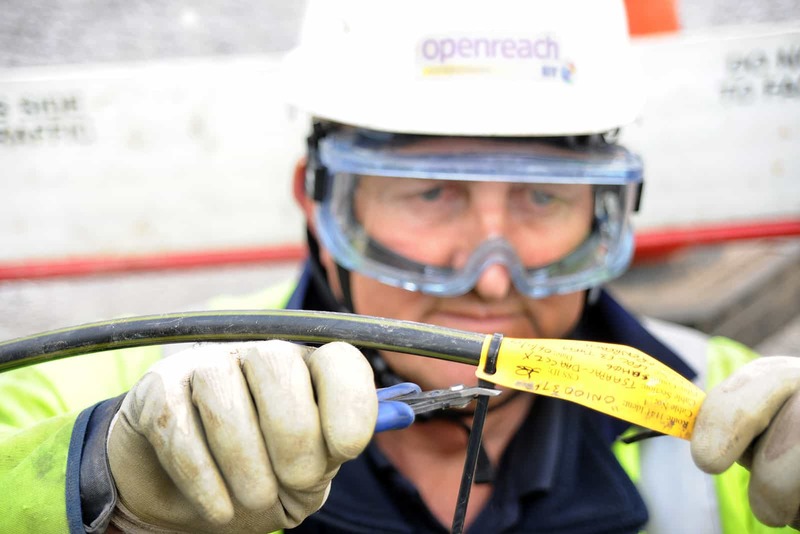 FTTP will also be deployed to consumers in new property developments with Openreach announcing it would deploy the service for free at sites where there are more than 100 homes. FTTP may also play a role in serving apartment blocks and some rural areas (where it proves to be the most appropriate technology to deploy). Openreach will be conducting two trials of business FTTP in Bradford, providing ultrafast speeds of up to 1 Gbps in the city's Kirkgate High Street and Listerhills Science Park. BT's trials aim to prove that BT can reduce the cost of deployment, improve the customer experience and reduce installation time. BT will be developing an updated FTTP offering over the coming months. BT will rely on its copper network to deploy ultrafast speeds to the majority of its customer base using G.fast technology. BT reiterated its commitment to deliver G.fast access to 10 million premises by 2020. G.fast is already being trialled in three locations. In March 2016, BT announced that it would build on the existing trials of G.fast with new pilot sites in Cambridgeshire (Cherry Hinton) and Kent (Gillingham). These will trial G.fast on a larger scale than existing trials. When the infrastructure for these new trials has been built (during 2016), 25,000 premises in these areas will be able to access download speeds of up to 330 Mbps. BT expects that G.fast speeds will increase to 500 Mbps in the next few years as the technology is deployed. For more information about G.fast, visit our What is G.fast page. Increase Broadband Speed Guide | What is Fibre Broadband?